Product prices and availability are accurate as of 2019-04-17 03:21:13 EDT and are subject to change. Any price and availability information displayed on http://www.amazon.com/ at the time of purchase will apply to the purchase of this product. 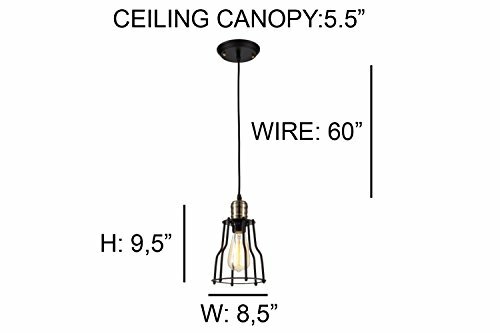 Vintage Style Industrial Lighting by Ohr Lighting®, in ceiling pendants and wall hung styles, these fixtures are a perfect choice for adding a Vintage look to a Modern space, or to use for an existing Industrial room. 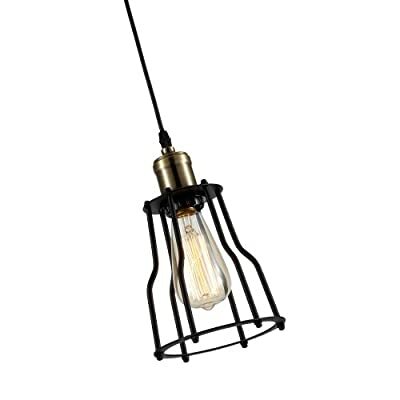 Included is a Vintage style Edison Incandescent light bulb that has an electric light with a wire filament heated to a high temperature, by passing an electric current through it. They will let you travel back in time and instantly add a vintage charm to any space, with this meticulously crafted amber glass 40 watt Edison bulb. Whether your remodeling or adding it to an old light fixture, the OHR 40 WATT EDISON BULB will Add an elegant, historic touch to your house. With a brass base and dimmable hand-woven filament, you can immediately turn any light fixture into a conversation piece. Perfect decoration choice for Bars, Coffee shops, Restaurants, Bedrooms, Backyard, Showrooms, Clubs, Dining rooms, Showcase, Malls, Art rooms, Museums, ect. Working on a historical restoration? This is exactly what you need. Wanting to install a sense of vintage ambiance in a room? This dimmable Edison bulb creates a nostalgic mood every time. Craving a beautiful mood enhancing glow? This is the perfect solution. The Edison Collection. 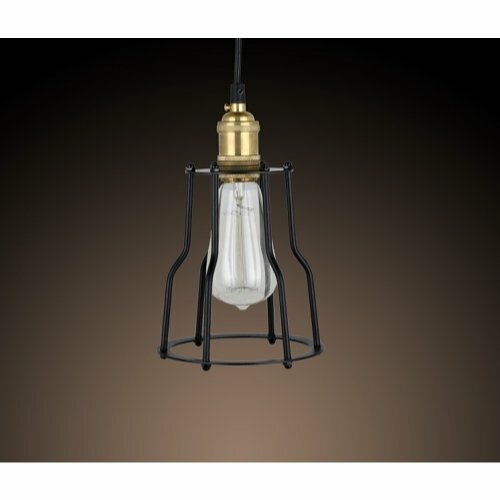 Inspired by simple, yet functional antique lighting from the times of the Industrial Revolution. A perfect addition to residential and commercial spaces such as living rooms, kitchens, work stations, restaurants, shops, and more! Feature multiples for a fabulous design. 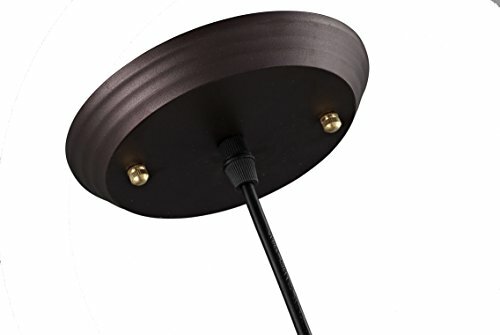 SIZE: 8.5"W x 9.5"H / CEILING CANOPY: 5.5" / WIRE: 60" (Adjustable) Color: Matte Black/Antique Brass 40W EDISON STYLE BULB(S) INCLUDED 60 watt max, 110-120 Volts, UL Listed parts Installation by an electrician is recommended. Intended for indoor use.